There are several free PDF form fillers on the market. Recently, more sophisticated PDF form filling software has become available that is able to do much more than just fill a form. Due to the number of free form filling platforms found both online and offline, users have a ton of options when it comes to finding free PDF form fillers. In this article, we'll highlight the top 5 currently on the market. The ease-to-use functions associated with this particular PDF form filler have made PDFelement a recognized and respected program. PDFelement allows you to create and fill PDF forms. 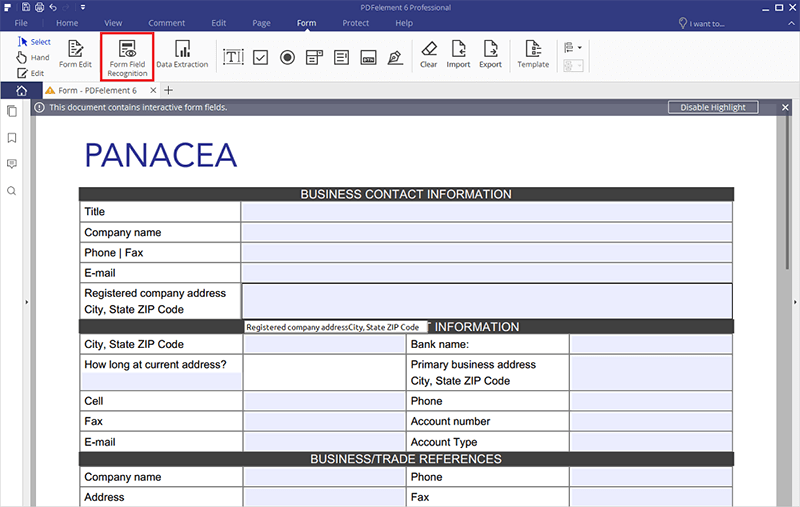 It also has integrated features from other free PDF form fillers to allow for easy sharing and printing of forms. You can save your form to your device for future use and for printing purposes. Also, PDFelement provides features that let you edit, sign, and perform OCR on PDF forms. It is fully compatible with all Windows systems, from Windows XP to Windows 10. Download the free trial version of this professional PDF form filler to try it out! If you are a Mac user, try PDFelement for Mac. It is compatible with the latest macOS High Sierra 10.13. PDFelement lets you easily fill a PDF form with interactive fields. 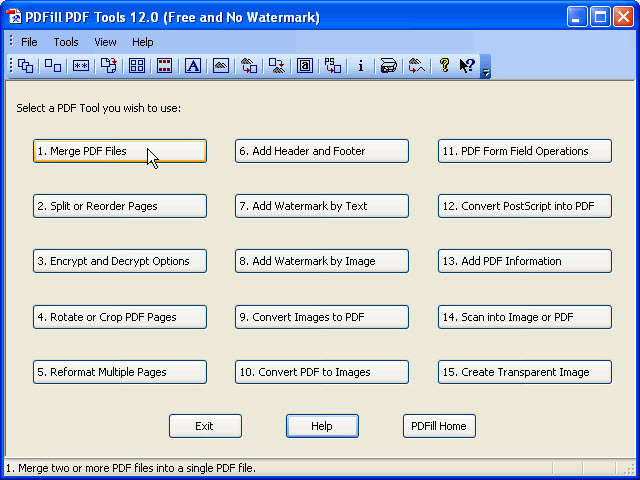 After you download and install the PDF form filler software, launch the program. Click the "Open File" button to browse your computer or drag and drop the PDF into the program window. The form filler software will detect all of the interactive fields automatically once the file is open. Now you start directly typing in the fields or selecting the right responses from the options provided. Not all PDF forms have interactive fields. 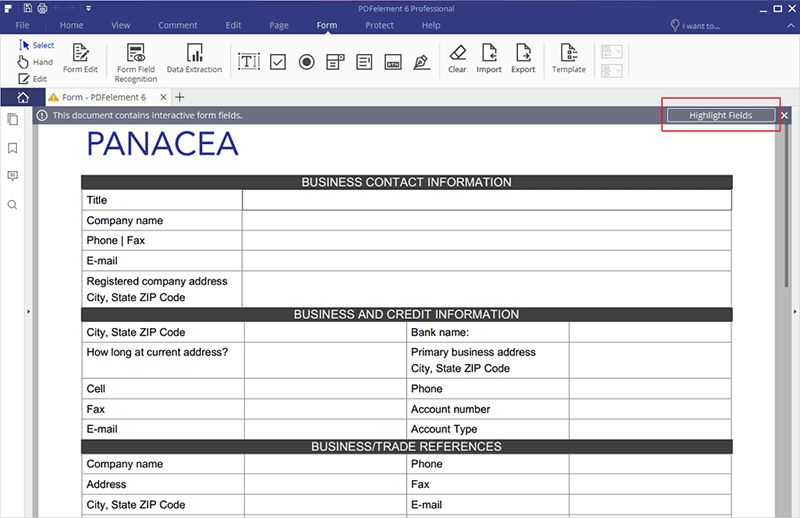 Some forms are created from different types such as Microsoft Excel, Word, or plain text and covered to PDF. To fill one of these types of converted PDF forms, open it with PDFelement, then go to the "Form" tab and click on "Form Field Recognition". It will automatically detect where the fields should be. You can then click the "Close Form Editing" button, and start filling in the field like you would with interactive PDF forms. Now you know how to fill in a PDF form with or without interactive fields using PDFelement. After filling out the PDF form, you can save the completed PDF form by clicking the "Save" icon in the top left-hand corner of the main interface. As one of the best PDF Form Fillers on the market, PDFelement also lets you add a handwritten or electronic signature to your PDF form as well. 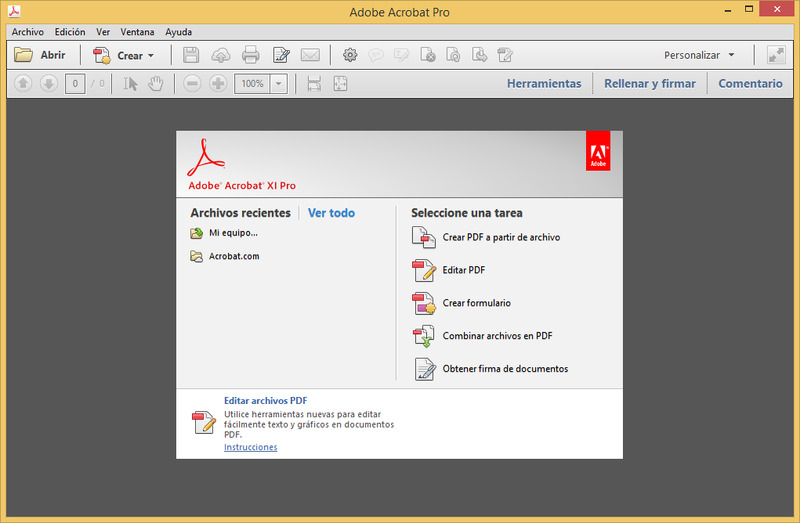 Adobe Acrobat is a PDF tool that allows the user to edit, fill, and read PDF forms. It offers advanced form filling techniques, and provides the most extensive features for creating PDF forms as well. However, Acrobat XI has ended all support, meaning there will be no more security updates, product updates, or customer support. In this case, you can click here to find out the best alternatives to Adobe Acrobat. PDfill form filler has been integrated with top-notch functions and tools. From the PDfill form filler window page, the user is able to select the form format, and select the editing fonts types, font color and font size. This particular PDF form filler allows the user to be able to import and export filled forms and data to be filled in the editable fields. Blueberry PDF Form Filler is a free software that enables the user to fill and print PDF forms. It has enhanced functions that are on par with Adobe Reader filling capabilities. You can open your document in the program, and then fill in the data through selecting the appropriate fields. In the process, the filler converts the fields into editable fields that can be filled with data. 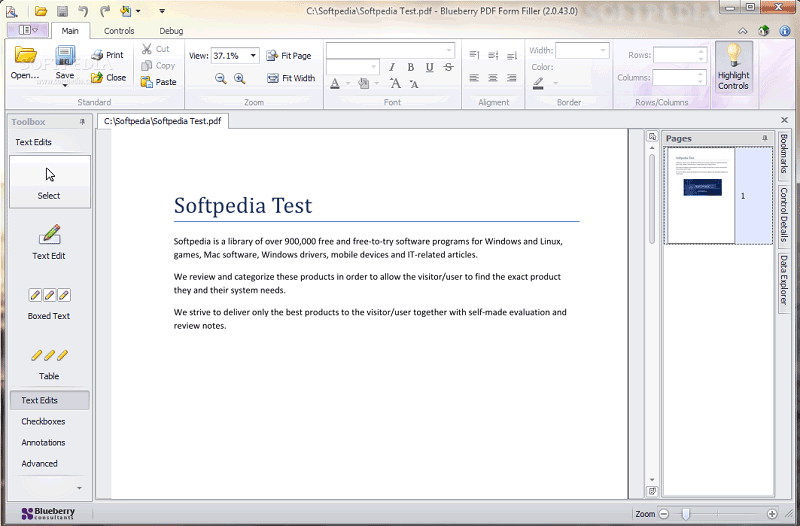 This program provides several fonts and text sizes that conform to other text in the document as well. 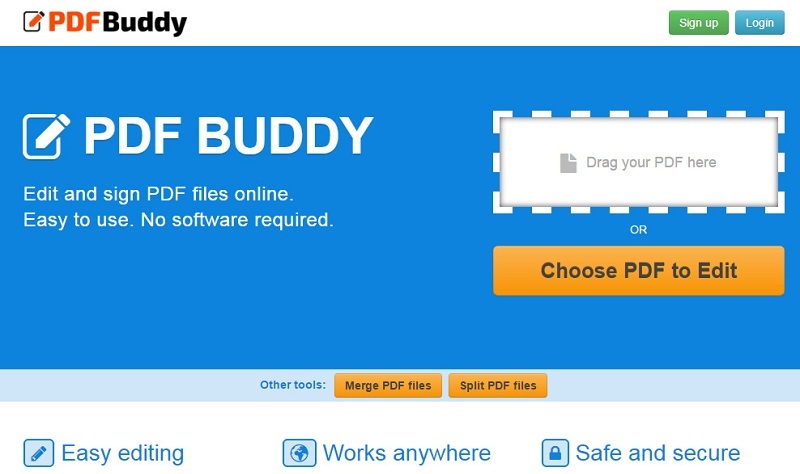 PDF Buddy is an online platform that allows for editing and general form filling to your online hosted document. This particular PDF form filler gives you the ability to work anywhere, saves time, and is free to use. Plus, it is easy to enhance your PDF files. Looking for PDFpen for Windows? Solved.